WE DESIGN, FACILITATE & HOST AMAZING MEETINGS THAT HELP SMART PEOPLE THINK TOGETHER BETTER TO SOLVE PROBLEMS IN PERSON. If you’ve got a meeting to plan and a problem to solve, please contact us. If you’d like to take a tour of our space, or learn more about what’s included, drop us a line. Read more of what our customers have to say about their experience at Filament. 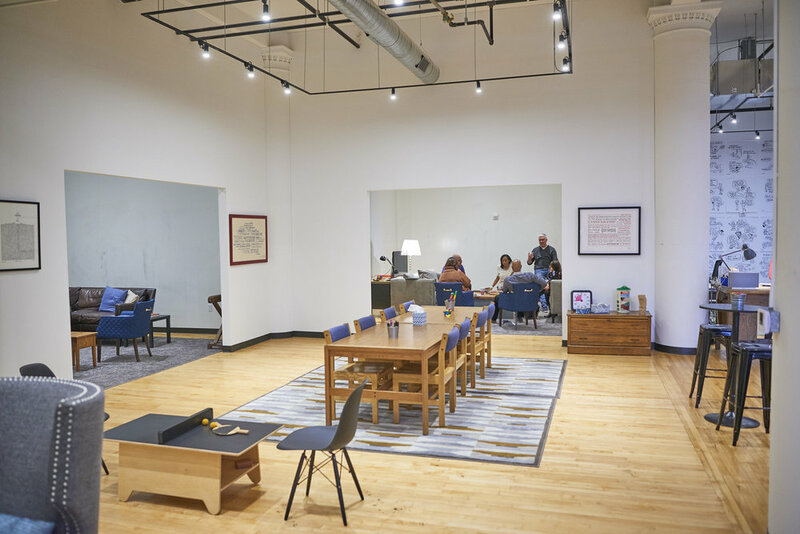 If you’re meeting is in St. Louis, we can host you at our cool innovation space downtown. Check it out and let us know if you’d like to take a tour. We’re fortunate to work with some of the most innovative and creative companies and and nonprofit organizations in the country. Here are just a few of our favorite customers. Whether you'd like to schedule a meeting or take a tour. We can't wait to hear from you. I'd like to schedule a tour. I have a meeting I'd like to talk about. Please add me to the Filament email list. How did you hear about Filament? There is usually ample metered street parking in front of Filament on Washington Avenue. If you're coming for a longer meeting and we've not sent you an email with specific parking instructions, check out this parking guide that lists all the lots nearby.